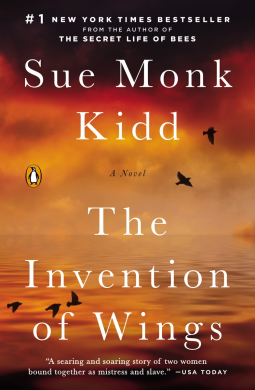 Bestselling author Sue Monk Kidd released her latest novel, The Invention of Wings, in January of last year. A historical novel rooted in the story of Sarah and Angelina Grimke, the first female abolitionists and two of the first modern feminists, The Invention of Wings looks at issues of gender, race, and morality from a uniquely dual perspective. The novel vacillates between being narrated by Sarah Grimke, a young southern belle, and Handful, a slave on the Grimke plantation. Both girls are subversive and oppose not only authority, but also convention, even at the young age of eleven when we first meet them. Kidd follows the girls from childhood into middle age, allowing for the reader to see and understand the situations occurring in and around their lives with a more vibrant and deep verve. There are certain stories and situations that are told both from Handful and Sarah’s point of view, while other events that are extremely important to Handful don’t even make it into Sarah’s narrative (and vice versa), because she is either unaware of them or can’t understand the impact of such events. While both Handful and Sarah have a certain sisterly bond of love that they both acknowledge, there is a fissure between them that continues to grow as they age. Handful begins to see more and more that Sarah can never understand her position as a slave. Kidd juxtaposes the women’s rights movement with the abolition movement in so that each mirrors the other as a mode of imprisonment. However, Sarah’s issues, though vital in their own right, are often shadowed by the horrors of Handful’s life. Sarah can at times be an overbearing and frustrating character, especially when she is placed next to Handful, whose greatest trouble can’t even come close to comparing to Sarah’s. In a certain way, The Invention of Wings, shows that everyone’s own biggest issue is as important to them as the next person’s own biggest issue no matter the gap between those issues. Sarah’s dreams and desires cannot be discounted by any means, but in comparison to Handful’s simple wishes for freedom, it’s difficult to have sympathy for the often whining, young southern princess. Nonetheless, The Invention of Wings is full of strong female characters, Sarah included, who both take a stand against their oppressors and who offer inspiration by virtue of their will, courage, and perseverance. Published by Penguin Books in January 2014, The Invention of Wings is available at your local bookstore. 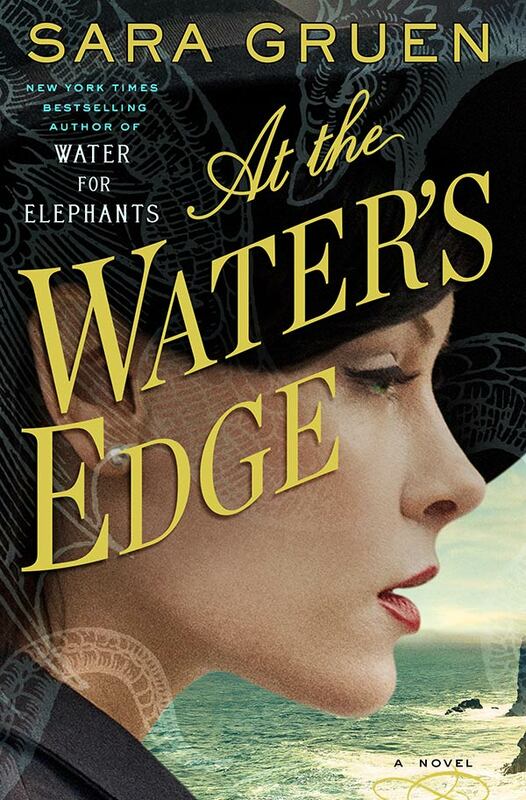 At the Water’s Edge by bestselling author of Water For Elephants Sara Gruen is a novel of romance, adventure, and history. The book takes place in the midst of World War Two in Philadelphia and then in Scotland as a high society love triangle comprised of the narrator Maddie, her husband Ellis, and their mutual best friend Hank head on in search of the Loch Ness monster. Ellis and Hank both have purported ailments that have kept them from enlisting in the war: Ellis is color blind and Hank is flat footed. The two men are so shamed by their inability to enlist that they decide to head to Scotland to find and film the Loch Ness monster and prove themselves heroic. Maddie is forced to come along since she has nothing in Philadelphia but a mother-in-law who wants to dissolve her son’s marriage and a father who wants nothing to do with her. So, the three head to Scotland and check into a local inn where we meet more of the novel’s characters including Anna, Meg, and Angus. From here the story spins into tangents of monster hunting, Maddie’s slow acclamation to life outside of her china walls, and a love affair that develops only very late in the novel. Ellis and Hank, though most especially Ellis, turn out to be entirely dreadful human beings who are not only careless, but conniving, evil, and abusive. Much of the novel is spent describing the ways in which Ellis talks down to Maddie, tries to physically abuse her and emotionally berates her for what he sees as her imperfections. Frustratingly, Maddie does nothing to stand up for herself, and though this is a period piece set in a time when men did have the power to commit their wives to mental institutions, it is entirely maddening to watch Ellis dominate his wife and for Maddie to fall into patterns that reassure Ellis’ behavior. There is definitely an air of melodrama in the book as well with Maddie constantly fainting, becoming woozy, or needing a man to save her from distress. There are few strong female characters at all in fact. Meg still pines over her boyfriend after he beats her nearly dead for wearing a pair of silk stockings that he assumes Meg slept with someone to obtain, while all of the women passively wait to be married and disappear into their respective husbands. Once again, the time period of the piece must be taken into account when trying to understand Gruen’s intention drawing such characters, but it is no less defeating for readers. It is difficult to be surrounded by a hoard of characters for which the reader develops little sympathy because of their obnoxious behavior. The plot and all of the tangential subplots, however, are arresting and intriguing in a way that allows the reader to overlook potential frustrations in the novel’s characters. Being primarily plot driven, At the Water’s Edge will most definitely prove to be another blockbuster once a film is made. At the Water’s Edge is slated for release from Random House Publishing on March 31, 2015. You can preorder a copy of the book here. 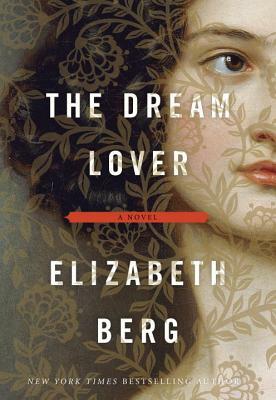 The Dream Lover by bestselling author Elizabeth Berg is the fictionalized historical account of George Sand: one of the most influential and subversive female writers in France during the 19th century. Sand, born Amantine-Lucile-Aurore Dupin, not only published novels and articles at a time when women were primarily confined to household living, but she did so in plain view of the public, often cross dressing as a man, smoking cigars and engaging in open love affairs with some of the most prominent artists of her time. In her own novel, Berg both draws from historical records and adds some of her own flair as she traces Sand’s life from early childhood until past her own death. Sand traverses the years of her own life as the book’s narrator offering us only her single perspective. In this way, Berg often leaves conspicuously gaping holes in the thoughts and actions of Sand’s friends, family and lovers. As readers, all we have is Sand’s word that the events she recounts have happened in the way that she claims they have happened, but there are always parts of the story that seem missing. There are always things that we as readers are compelled to fill in, imagine, and understand, things that the character Sand perhaps does not want to fully admit to herself more than anyone else. In this way, Berg points directly to an issue that she encountered during her research of Sand’s life. In Sand’s own autobiography, as well as in the historical records detailing the writer’s life, Berg notes there are major discrepancies in terms of dates, names and places associated with the famed writer. Berg took these discrepancies and did what she could with them: told them from a point of view. A point of view that Berg explains in the afterward of The Dream Lover, is not rooted in pure fact; rather, it is a mix of the real and imagined truths that she unearthed while steeped in her research. This marriage of fact and fiction as form is echoed in Sand’s narration, as we often wonder how much of what she is telling us in imagined in a certain ways and stretched from the hard facts to suit her wildly imaginative and romantic mindset. These discrepancies also mirror the ambivalences inherent in Sand’s own persona. Though Sand’s activities and lifestyle were controversial to say the least, there was evidence in her own writing, as well as testaments from her friends, that credited her with having a love for domesticity and for her children. Further, Sand, despite her fun-loving nature and energetic attitude, was known to suffer from depression and a pervasive sense of restlessness, which Berg translates seamlessly into her text. Berg aptly captures all of the contradictory elements of Sand’s nature and portrays her as a woman with ambition, doubt and talent, as a woman of love, hatred and anger. Through and through, The Dream Lover reads at a fast-paced gallop, leaping through time and space to tell the most apt parts of this heroine’s life, all while mixing love, passion and longing in just the right amounts. Set to be published by Random House in April 2015, The Dream Lover: A Novel of George Sand is available for pre-order from your local bookstore. 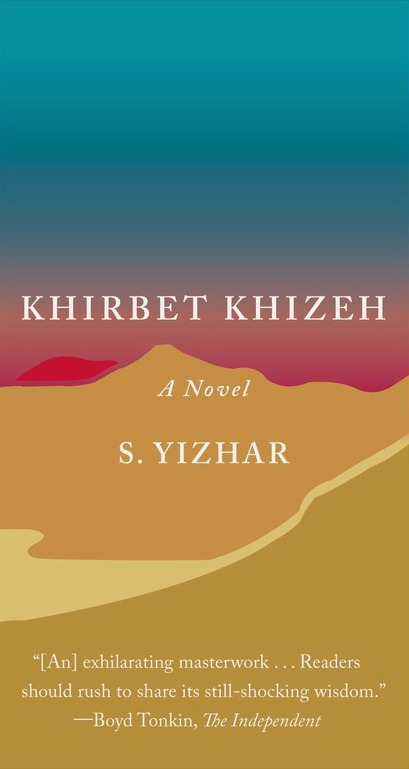 Khirbet Khizeh is S. Yizhar’s fictionalized account of life as a soldier in the Israeli army during the 1948-49 war, and was published shortly after the war’s end. In this new translation by Nicholas de Lange and Yaacob Dweck, Khirbet Khizeh takes on a renewed poetic significance, instilling the novellas enduring relevance for contemporary culture. The narrator starts his account by noting that the event he is about to describe “happened a long time ago, but it has haunted [him] ever since.” He talks of the passage of time and his once hopeful idea that such a passage might have healed his sorrow and despair. However, it appears that nothing of the sort has come to pass. He takes readers back to the beginning, back to his own mindset before he was deeply disturbed by his and his cavalry’s actions. It is a “splendid winter morning” the day that the troop “cheerfully making [its] way” across the countryside. As they are travelling, they come across the village of Khirbet Khizeh which they are told, by radio, that they must attack in order to dispossess the Arab’s who live there of their land. The infantry must, however, wait for the command do so. And so they wait. They grow restless, sleepy, and confrontational with one another as time seems to interminably pass for them. The narrator feels the pressure of wanting to act, for as he notes, in idleness “thoughts would stealthy creep in.” And “when the thoughts came, troubles began;” nobody want thinking soldiers, so “better not to start thinking” he resolves. The indifference, lack of concern and general passivity of the soldiers continues as they talk and laugh of slaughtering a donkey for the fun of seeing just how long it would keep munching on grass after being shot three times. “What incredible vitality” the wireless operator observes. This scene foreshadows the stance of observance that the soldiers, and most especially Yizhar’s protagonist, takes on as the novella progresses. Finally the group is “rescued from [their] distress” and given the green light to open fire on Khirbet Khizeh. The attack begins, and the rest of the piece details the narrator’s indecisions, frustrations and doubts concerning the rights of the Jews and the rationality of their actions. He develops a sudden sense of compassion for his enemy: mostly graying men, steadfast women and crying children – none of whom retaliate as they are herded from their homes. The narrator recognizes this change of heart in himself, but notes that at the time he “didn’t want to stand out from the others in anyway,” and so he tries his best to keep quiet. He is, however, eventually compelled to speak out to his commander Moishe, that “it’s not right” for the Jews to displace the Arabs when they are so defenseless and passive. Moishe though is entirely indifferent and points out that if the Jews were in the Arab’s position right now, the Jews would be dead. He warns Yizhar’s narrator that if they don’t take care of the Arabs now, the group will present bigger issues for the Jews in the future. The narrator continues to argue with himself, but ultimately decides “this is war!” Though he does not by any means fully convince himself that his actions are just, he has at least subsumed his outward expression of guilt and questioning beneath the guise of wartime allowances. As David Shulman notes in the afterword though, Yizhar’s expression of “all is well in war” gains greater irony in the fact that not much has changed in Israel now that the war is over. People are still being displaced, people are still hating and killing one another, and yet the excuse of war can no longer be used. Though it might appear that the novel bends on a moralistic theme, Shulman notes that Yizhar’s narrative hinges more on choice than on morality. Perhaps these choices are necessarily tethered to morality as they are intimately bound to the notion of peer pressure both in the form of people and ideologies. The text spans a mere 144 pages, and Yizhar propels readers directly into both the internal and external action of the novella, keeping them there throughout. Usually with translated text, there is a profound sense of loss and sadness surrounding the physical words on the page because they are merely representations of the original words used in the native language. De Lange and Dweck, however, capture with verve the poetic essence of the text beautifully and aptly. Yizhar’s very Dickens-like sentences build into paragraphs that wind around your heart, pulling you forward into the action, the distress, and the ambivalence that characterizes his work. This new translation by Nicholas de Lange and Yaacob Dweck was re-released by Farrar, Straus and Giroux in December of 2014 and can be found at your local bookstore.